Manufacturing and distribution centers are constantly challenged with inefficient labeling processes, fueled even more so today by omnichannel fulfillment demands to increase labeling activity and drive sustainability – without compromising velocity. Solving these challenges, Avery Dennison, a leading manufacturer of self-adhesive materials, is launching its ADTP2 EcoCut TM Labeling Solution – an industry game changer. The innovative solution is the newest member of the Monarch ® printer solutions family and is the first-to-market solution that precisely cuts a label to the required length based on the image needing printing. No more need for pre-defined formats or label sizes. The user chooses the exact length and quantity of labels they need from one printer, without cutting through a liner. Compared to common logistics labeling practices, the EcoCut solution results in significant overall cost savings of up to 40%. This is made possible primarily by the reduction of unnecessary waste. EcoCut is designed with a new innovative printer-cutting mechanism, which allows for the solution to produce multiple label sizes with only one continuous label roll. As a result, unnecessary liner and matrix waste between each pre-cut label is eliminated. This is an up-front elimination of approximately 10% of waste before printing even begins. Additionally, instead of creating label content with padded white space to fit the predetermined standard label size, with EcoCut, the labels are printed to fit the size of the content, heavily reducing the amount of unnecessary wasted white space and resulting in up to 50% more labels per roll. With fewer rolls needed, this means significant cost savings and increase in productivity. 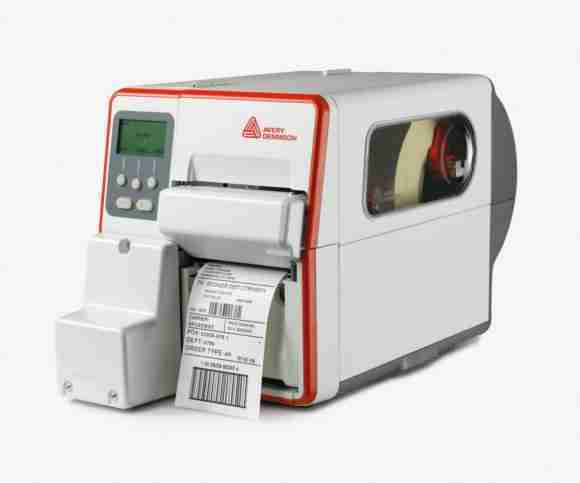 By streamlining the labeling process, EcoCut reduces transportation, converting, purchasing and warehousing costs. Fewer transportation needs mean lower CO2 emissions. Additionally, the reduced use of raw materials combined with the thin liner results in less landfill waste. When combined with the increased use of recycled materials, sustainability measures are improved even further. All of this contributing to a more economical and sustainable labeling solution.